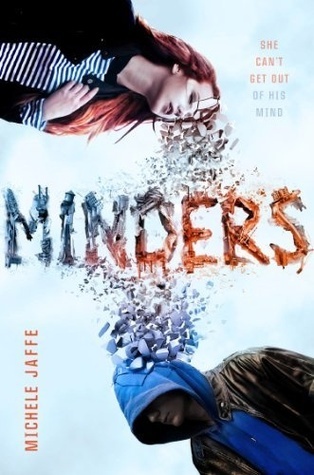 Today I’ve got a special version of CONTEST MONDAY, because I’m giving away something EVERYONE’s going to want: an ARC of Michele Jaffe’s MINDERS. The book releases Jan. 30, so you have the chance to read it 5 MONTHS before everyone else! I’m doing this contest for 2 reasons: 1. Michele is incredibly awesome; 2. MINDERS is a book you can’t miss. Let me tell you why. 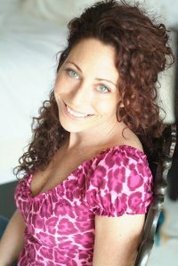 Michele’s BIO: Michele is the author of the Bad Kitty series of YA books as well as thrillers and romances for adults. After getting her Ph.D. in Comparative Literature from Harvard, she retired from academia and decided to become an FBI special agent or glamorous showgirl, but somehow instead ended up writing. A native of Los Angeles, California, Michele and her sparkly shoes currently reside in New York City. I met Michele at the RT conference in Chicago, 2012. And the reason I met her was because I was having serious dress-envy with a floor-length skull-print dress she wore to the Teen Day party. We swapped emails (unfortunately we didn’t swap dresses), stayed in contact, and Michele came to my UNTIL I DIE launch party in New York. Later on, over breakfast at one of those cool little places in Williamsburg, she told me about the YA novel she was thinking of writing…which became MINDERS. And just a few weeks ago sent me an Advance Reader Copy. A high concept, cinematic read with a surprising twist, MINDERS asks the question: who is really watching who? Q: If the boy you love commits a crime, would you turn him in? Sadie Ames is a type-A teenager from the wealthy suburbs. She’s been accepted to the prestigious Mind Corps Fellowship program, where she’ll spend six weeks as an observer inside the head of Ford, a troubled boy with a passion for the crumbling architecture of the inner city. There’s just one problem: Sadie’s fallen in love with him. Q: What if the crime is murder? Ford Winters is haunted by the murder of his older brother, James. As Sadie falls deeper into his world, dazzled by the shimmering pinpricks of color that form images in his mind, she begins to think she knows him. Then Ford does something unthinkable. Q: What if you saw it happen from inside his mind? Back in her own body, Sadie is faced with the ultimate dilemma. With Ford’s life in her hands, she must decide what is right and what is wrong. And how well she can really ever know someone, even someone she loves. Pre-order it here from Indiebound. Pre-order it here from Amazon. Pre-order it here from B&N. I’ll let this contest run for 2 days this time, just because it’s such a desirable prize. As usual, it’s international, and I will randomly draw on Wednesday at 10am Paris time. Just let me know in the comments below which ways you followed Michele, how many points to give you, and some way of getting in touch with you. Ready? On your marks…get set…GO! For those of you who have had a hard time lately, celebrate with me….